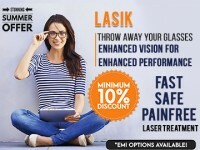 iLasik is a revolution in LASIK surgery. It represents the pinnacle of blade-free, fully customized laser vision correction, and is the premium LASIK solution available in the world today. iLASIK is the first vision correction procedure to be 100% customized to the unique characteristics of each eye. When it comes to LASIK surgery,iLASIK is clearly an excellent choice. With iLASIK - the NASA-approved, blade-free, customized laser eye surgery you can be sure you’re getting the safest and most advanced LASIK surgery in the world. 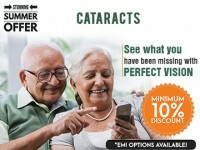 100% customized - tailored to the unique characteristics of your eyes.